How to Get a Good Healthy Tan. Getting a good healthy tan can make you feel more confident and fashion-daring when wearing those mini dresses and shorts. You should aim for a natural golden glow, since those dark bronzed shades not only appear fake and unfashionable, but they can cause unaesthetic dark spots and even early skin wrinkles. Discover the best guidelines on how to get a good healthy tan. Sunbathing by the swimming pool or sitting on the beach is sometimes preferred to other laborious safe tanning methods, because it makes for a pleasant, even relaxing pastime. Exfoliate and moisturize your skin before going to the beach – this way you create a smooth, ready-for-tan skin. You shouldn’t wear any makeup or perfume. Apply a broad spectrum SPF protective lotion every 30 minutes or right after getting out of the water. For an even, healthy tan change posture every 15 to 20 minutes, and stay no longer than 3 hours in the morning or in the afternoon, when the sun’s effect is less harmful. If you have sensitive, fair colored skin, you might want to get a good healthy tan without sun exposure: this way you avoid irritations and sunburns. We recommend L’Oreal’s Sublime Bronze ProPerfect Salon Airbrush Self-Tanning Mist which provides continuous wide angled coverage for you to create an even, gorgeous-looking healthy tan. 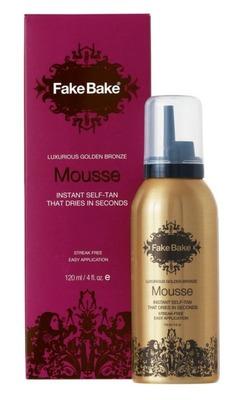 Also, if you prefer something fast drying, which will get you that deep, dark tan, you can try out Fake Bake Self-Tanning Mousse, containing natural ingredients that will make your sunless tan last longer than with other self-tanning products. Whatever your choice of product to get that good, healthy-looking tan, your first step is to carefully exfoliate your body, paying particular attention to your knees, elbows and ankles. When applying the product, be sure to cover all your areas, without making any droplets. After applying, gently rub the product onto your skin, giving a good massage to your elbows and knees. You’ll need to wait a couple of hours for your tan to develop. If you want a darker bronze shade, you’ll have to mist self-tanning products at least twice a week. You don’t want to wait until your next self-tanning session? You can get a healthy tan fast by combining self-tanning products with short sunbathing sessions. This way, your face tan will be the healthy base tan for your glowing bronze to develop on. You should wait for the self-tanning products to set in, so it’s best to go the following day. Be sure to apply a SPF sunscreen, as self-tanning sprays won’t get you a healthy tan fast, they will get you sunburned. Sun protection is vital!